The project expands the Dermatology Department of King’s College London (St. John’s Institute of Dermatology) and relocates the Centre for Regenerative Dentistry. 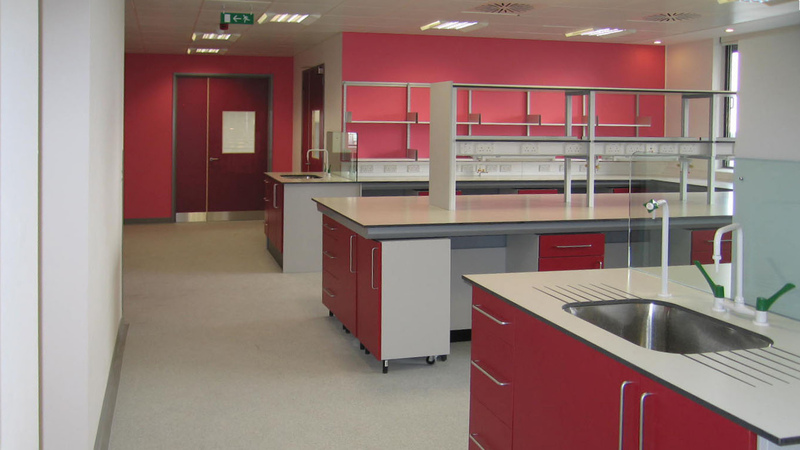 The new dermatology facilities feature an open plan laboratory which fosters a flexible approach to current and future working. Directly adjacent to the laboratory space are support areas including: Tissue Culture, Radioactive, Microscopes, Cold Lab, Dark, RNA, and PCR. The office layout is open plan with professors and senior lecturers occupying cellular offices on the western perimeter.